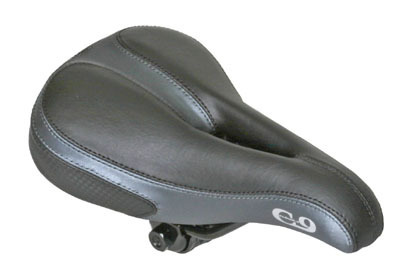 We have more than 6 different prostate bicycle seats to choose from to help provide you the best ride possible. See the Video "Why use noseless, hornless, no nose saddles." 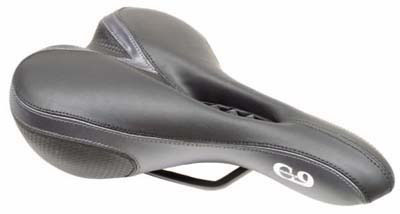 The Easy Seat is the original dual padded seat that is doctor recommended to relieve pressure. 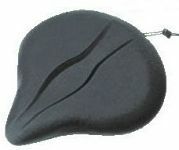 The dual pads move independently to give you a comfortable, pain-free ride. Dimensions: Each pad is 7" long x 4 1/4" wide. The seat adjusts from 8 3/4" wide up to 10 1/4" wide. Construction: Firm, high density contoured foam. 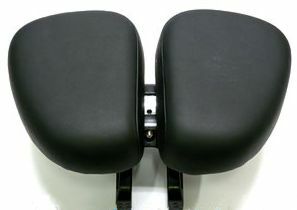 The Hornless Seat is a wonderful alternative to the Easy Seat if you are not comfortable with the movement of the dual pads. The hornless style is endorsed by doctors for men to provide prostate pressure relief. 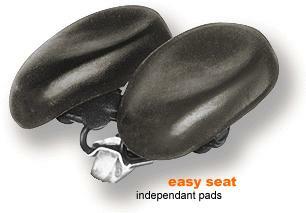 The Easy Seat II or Easyseat Deluxe is the newest dual pad seat that is doctor recommended to relieve pressure. The dual pads move independently to give you a comfortable, pain-free ride. Dimensions: Each pad is 5 1/2" long x 4 " wide. 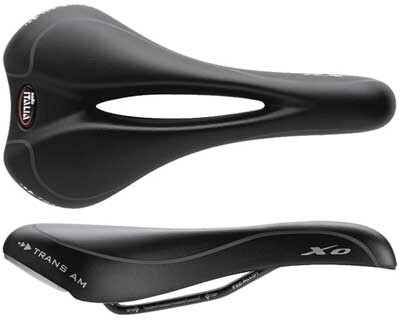 The seat adjusts from 9" wide up to 10 1/4" wide. 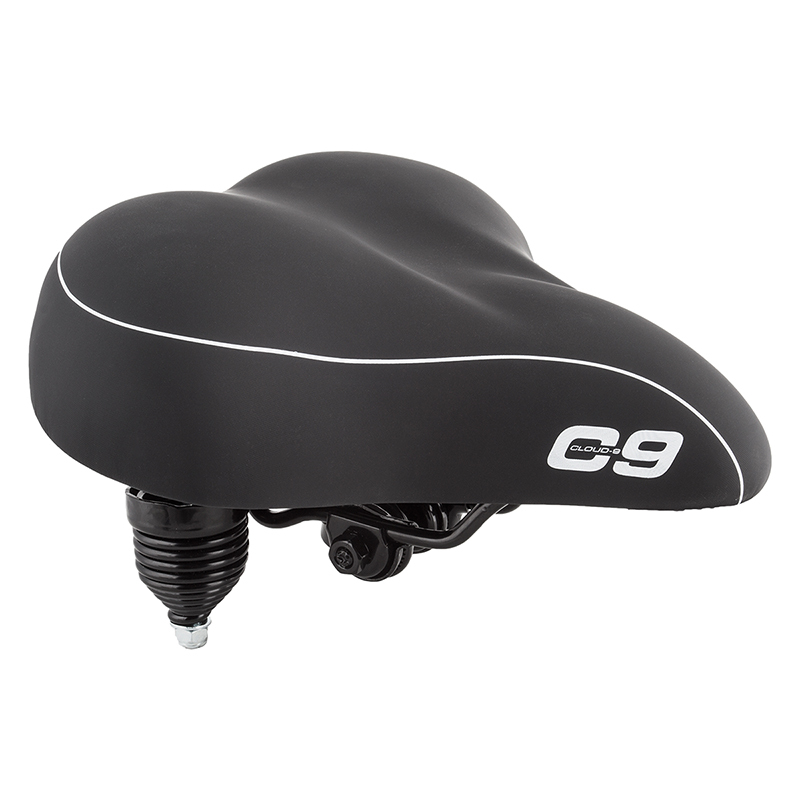 Looking for relief but still want a more traditional styled bike saddle? The Extra Deep Relief Zone Seat provides just that with the specialized extra deep and vented relief zone for prostate and tailbone relief and the control of a horn. By resting the skeletal system on these seats, the vascular and nervous systems are distanced from possible trauma and helps prevent permanent injury. 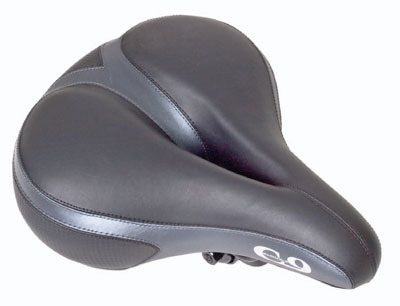 Other bicycle seats do not solve health issues; they still allow the delicate tissues to experience constant impact and trauma. Lowe, et al (2004) summarized their findings that "The recommendation of a saddle without a narrow protruding nose appears to be justified to reduce pressure to the perineum of the bicyclist." 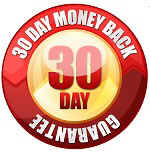 You only need an adaptor kit for exercise bikes. All adaptor kits include the post clamp.